The ambitions of Shareef Husain bin Ali, the Amir of Makkah, were waxing large. He determined to extend his authority and to swell his exchequer by levying an annual tribute on Ibn Saud. To this end, he despatched an armed force into the territory controlled by Ibn Saud. By chance, the expedition captured Saad, Ibn Saud’s brother. Shareef Husain demanded that, if Saad was to be released, Ibn Saud must accept the sovereignty of the Turks, in whose name the Shareef had acted; agree to provide the Turks with men and supplies whenever they needed them; and pay him tribute. 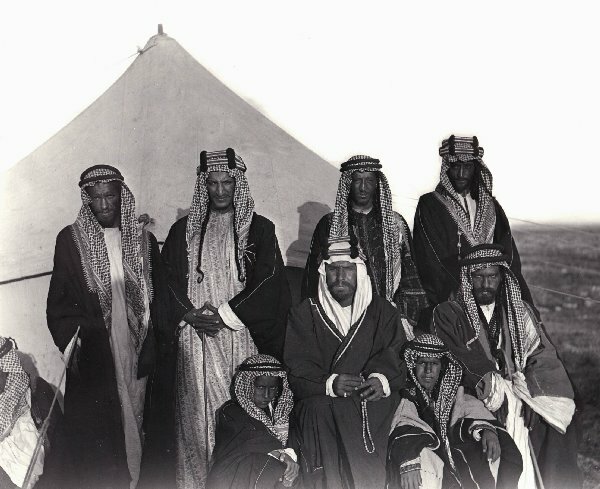 But the allies whom Shareef Husain had tried to enlist to his cause failed to respond to his invitations to join his expedition and the Makkhan leader found himself deep inside Ibn Saud’s domain with a force entirely unable to face the superior army which Ibn Saud was bringing against him. Battle was not joined because Ibn Saud feared for the safety of his brother. The two leaders negotiated at a distance and, in the end, Saad was released. Ibn Saud had had no intention of accepting the humiliating terms which Shareef Husain had tried to impose. Ibn Saud paid no tribute, nor did he supply any men or supplies to the Turks.